Pet Finches and Wild Finches Have Similar Diet. Pet finches generally eat the same food as wild finches, so if you have a pet finch or want to attract wild finches to your back yard be sure to provide them with sunflower seed, greens, fruit and millet. This article will explain pet finches and common wild backyard finches’ diet needs. Most common finch species that are often kept as pets are: Zebra finch, Society finch, Spice finch, Cordon Bleu, Gold finch, Gouldian finch, Parrot, Java, Orange weaver and Strawberry. In nature finches eat mostly seed and that is their main food, but it is wrong to believe your pet finch will thrive only on seed. While finches eat mainly seed in nature they also like to eat other food to supplement their diet. Fruits and vegetables are important part of their diet and recommended for your pet finch. What will my pet finch eat? These Pro Food for Finch seed mixes are made for most of the pet finches and will give your finch the most natural diet possible. This is a good supplement for your finches. It will provide a healthy, nutritious addition to your birds. Birds will spend hours eating Spray Millet for Birds as a tasty snack. Fruits and vegetables are important for you finch diet as they are a great source of vitamins and minerals. Finches will love all colorful fruits and fresh vegetables. They will snack on them when offered. I recommend you to find fresh and organic food. Pesticides can hurt your birds in the long run, so try to find healthier choices. Some of those choices are: Apples, bell peppers, broccoli, butternut, carrots, collard greens, mangoes, mustard greens, papayas, parsley, peaches, pumpkin, spinach, sweet potatoes, tomatoes and zucchini. Most of the birds from the Finch family are granivorous and eat almost entirely seeds. When they raise young typically don’t feed them with insects. Parents feed the chicks with a regurgitated seed. Typical Finch food is Sunflower Seed and nyjer or niger seed and finches will come to the feeders that offer this Nyjer Seed . If you install a mesh feeder the birds will readily come. Tube feeders with perches are a good choice too. The Finches like to feed in flock. More than one feeder will encourage them to stick around and will give lots of bird watching experience. These birds are very sociable and will come to backyard feeders in big flocks of 15 or more. Thistle or Nyjer Seed Bird Food is the preferred food of Goldfinches. You can provide thistle in special thistle bird feeders that you can buy. It is good to store your thistle seed in a dry and cool area or in refrigerator to preserve it for a long time. Try to hang your bird feeder at least 15 feet away from other type of bird feeders. Hang it 4-5 feet above the ground and in a brushy area if possible. Goldfinch also likes black oil Sunflower Seed and these type feeders come with lots of perches and space for feeding. The nesting of these birds starts later in season compared to other species. Their favorite food source is ready at that time. The Goldfinch build the nest from June to August and will come to bird feeders to get food for raising the chicks. What do House Finches eat? 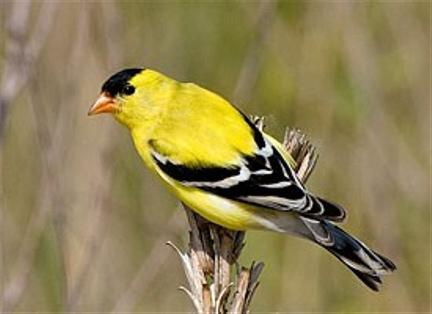 These type of finch is known in the bird world to be a vegetarian. Some other birds change the food source according to the season, but House Finch stays the same in his food preferences. The natural diet of these birds mainly comes from plant source, but if the food is not provided he will hunt for insects to survive. But House Finch will never starve, as it is easy for him to find food. These birds will come to the bird feeders and likely to hang around Nyjer Seed. House Finches, the typical vegetarians that they are, like to eat grasses, grains, seeds, buds and fruits. And as most other wild living creatures, House Finches prefer their own favorite seed. 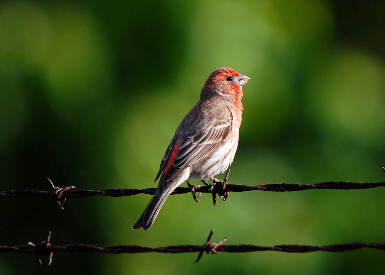 House Finch tends to lean towards sunflower seeds, thistle seeds and will like canary seeds. From the fruits family, they just love mulberries and cherries. So if you plant them in your yard, finches will flock to them in great numbers. To be more specific in attracting them, you can also use black Sunflower Seed inside your bird feeder. Provide a source of fresh water in your yard. 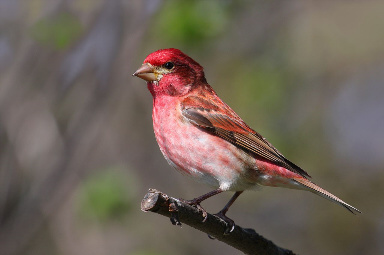 The purple finch feeds manly with Nyjer Seed Bird Food like other finches. It likes seeds from elms, tulips, maples etc. Sometimes it will eat insects like caterpillars, grasshoppers and other type of insects. Purple finch uses its strong beak to hold the seed and crushes it. Then eats the inside with its tongue. The tongue is also used to eat fruit and fruit seed. Part of the purple finch diet are berries, honeysuckle, cherries, apricot, poison ivy and crabapples. When fruit is not available, usually in winter times, you can see them eating low plants seed like ragweed, dandelions and cocklebur. 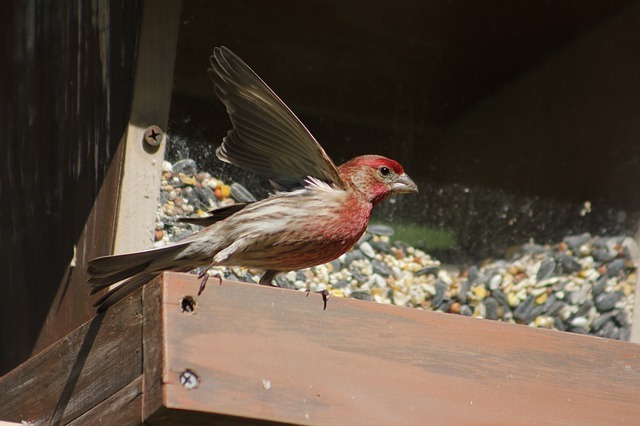 How to attract finches to your yard? Many people wonder how to attract finches the easy way and what do finches eat. One way to attract them is to use a platform feeder. If you use this kind of feeder make sure the bottom of the feeder is solid made so the seed cannot fall through. The better option is to use a tube feeder that is produced for finches. Usually it is called a Nyjer feeder or Finch feeder because it holds Nyjer seed. One more type is sock mesh feeder which is less expensive but squirrels can get to it fast. You can see lots of finches feeding in the same time -15 on one feeder is a normal thing to see. One more way to attract more finches is to put a water supply in your yard. You can put it next to a bird feeder. This will attract birds that normally will never come to your yard. This is especially true and will help to invite the visitors if there is no natural water next to your home. Finches use water to maintain their feathers and will come to the water often just to do this. Drinking is important for birds even tough lots of the moisture comes from the food source. Some finches, like goldfinch, stay in one place over winter so you will see them coming your-round. Almost all kind of bird feeders will attract Finches (hopper, platform and hanging feeders). They will hang on the feeders in a strong wind and eat seed that is on the ground. To help stop spreading diseases make sure feeders are clean and bird droppings are not accumulating. - Keep food fresh and dry at all times inside the feeder. Moldy seed is not good and birds will stay away from your yards. - Keep your feeders clean at all times. To help you do this, research before you buy feeders and find one that is easy to clean. Its human nature that we're more likely to maintain a bird feeders if they're easy for us to clean. - Make sure the bird food does not get old inside a feeder and is uneaten for more than 3 weeks. It that is the case you must throw it away. 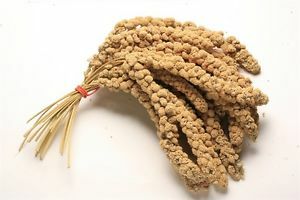 The Nyjer seed will attract finches the most. Check Nyjer Seed Bird Food Here. If you have time and space plant type of plants that attract finches to nest, these are shrubby edges for goldfinches. Evergreens are also used to build nest by them. If your yard has lower growing shrubs and similar plants finches will come and maybe even nest. Ideal nesting sites for finches are semi-dense trees and shrubs just a few feet of the ground, this is where nest will be located.